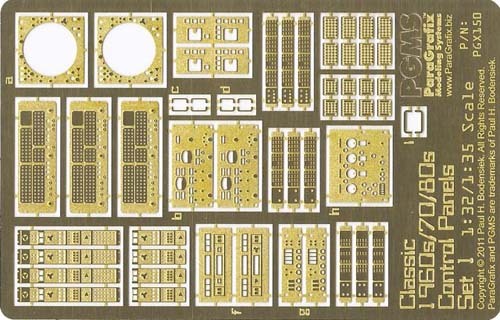 Ideal for diorama makers and scratch builders, these photo-etched parts duplicate many of the control consoles used in nearly every science fiction film and television show of the 1960s, '70s, and '80s. In addition to the photoetched pieces, this set includes backlight films for the larger displays and meters. This set is made from 0.010" brass and include through holes that make lighting simple* and add to the realism.